afternoon. 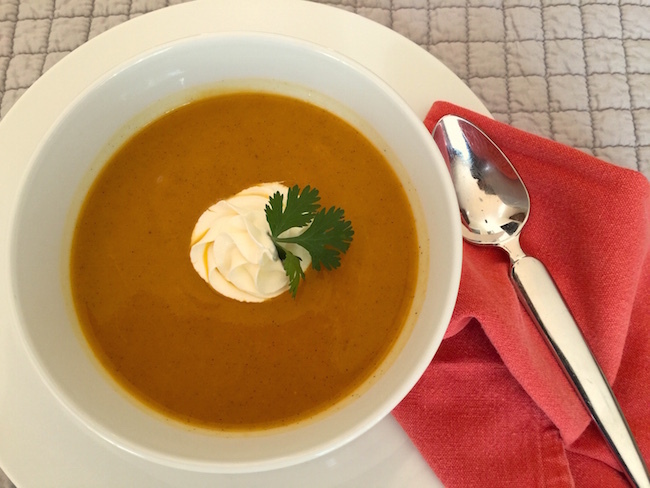 My Ginger Squash Soup is full of Fall flavor and the colors of the season too. 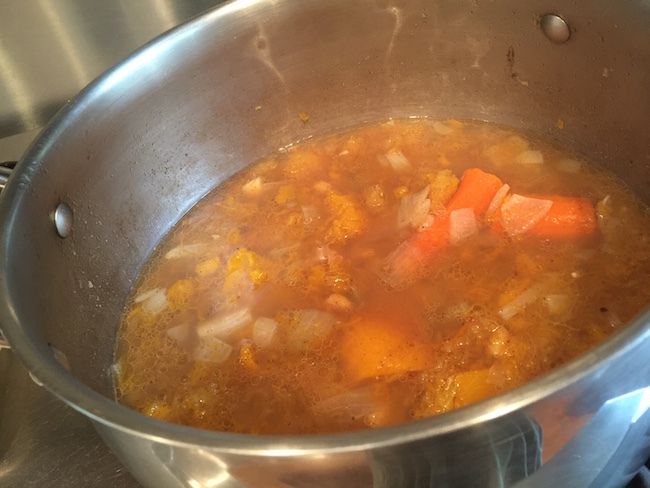 Cut butternut and acorn squash in half and remove seeds. Cook in microwave until soft and tender. 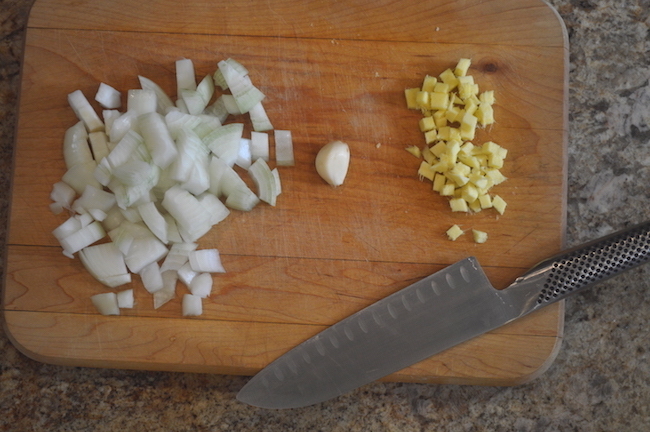 In large pot heat oil at medium heat and sauté onion, garlic, and fresh ginger until just tender. Turn burner to simmer and cover for half an hour. Let sit on stove to cool. When cool pour into blender and puree. Serve with a dollop of sour cream and sprinkle with cilantro. 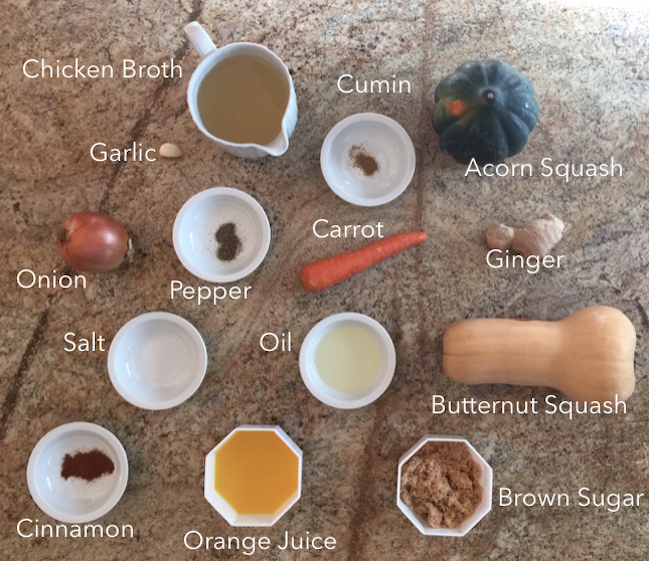 Cut butternut and acorn squash in half and remove seeds. Cook in microwave until soft and tender. 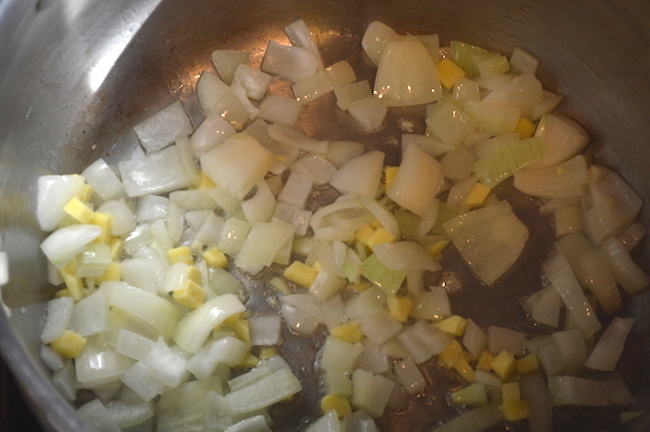 In large pot heat oil at medium heat and sauté onion, garlic, and fresh ginger until just tender. 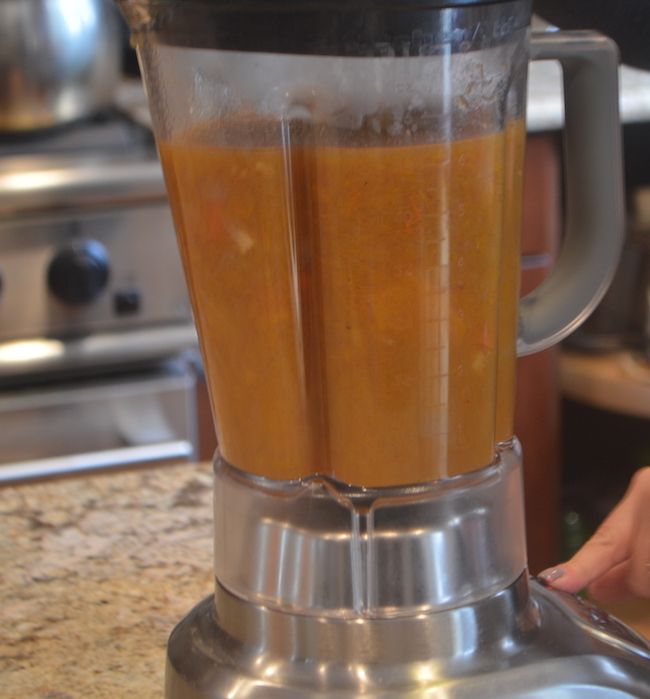 Add chicken broth, orange juice, cooked squash, carrot, brown sugar, salt, cumin, cinnamon and pepper and bring to a boil. Turn burner to simmer and cover for half an hour. Let sit on stove to cool. When cool pour into blender and puree. Return to pot and reheat. 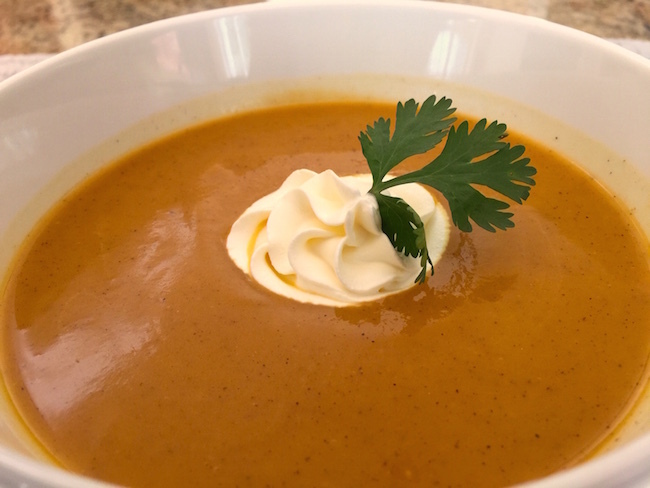 Serve with a dollop of sour cream and sprinkle with cilantro.